Film emulation LUTS, creative look LUTS, camera profile LUTS, negative LUTS, print LUTS. There seems to be a LUT for everything these days! With the proliferation of the use of Look Up Tables (LUTS) in the production and post-production process, there’s never been a better time to understand what they are and how best to use them. But if you don’t care about that and just want to get your hands on some free LUTS – scroll down! For more free downloads of things like film grain, light leaks, 4K flares and promo codes for popular post production tools check out the Free Stuff page too. If you’re an editor into saving time, you might also be interested in this post on my favourite royalty free production music sites. What’s the difference between a 1D-LUT and a 3D-LUT? This explanation over on the Fuji film site is mildly technical, but still explains things to an accessible level of detail. I’ll paraphrase it as best I understand it. With a 1D-LUT you’ve got some control, but not that much control. So if you increase contrast in your image, you will increase saturation, because the values are tied together in the simple chart, take this and make it that. With a 3D LUT you have more control over transforming these values separately and in combination. Here you can create “a set of the combination of three inputs defining the combination of R, G, and B values; not of one where each input refers to one unique output”. This allows for greater control, for example, increasing contrast without increasing saturation. This explanation on LUTS from Light Illusion is also well worth a read and is also helpful on explaining 3D LUTS. In essence, what a 3D LUT does is take an input value and generate a new output value, for each and every RGB triplet. This short video from Ground Control Color will give you a good overall understanding of the premise of a LUT and is humorous, which is a bonus. What are the different types of LUTS for? In this post over on Mixing Light.com you can learn a little bit about the different types of LUTS as colorist Patrick Inhofer defines them. He broadly divides LUTS into Technical LUTS and Creative LUTS. Patrick goes on to explain the problems can occur when we use a creative LUT as if it were a technical LUT. He gives the example of the ARRI Alexa Log-C to Rec 709 LUT, which takes a flat image and expands it out to make it look ‘normal’ for us (used to, as we are the Rec.709 colour space). The problem is that if you have a bright shot next to a dark shot and you slap the same LUT on them, you will have two very different looking images come out the otherside because a LUT cannot account for differences in exposure. 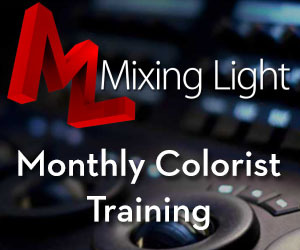 UPDATE – Mixing Light colorist and trainer Robbie Carman has put together an even more detailed primer on LUTS in this recent Mixing Light Insight. Over many different Insights and in many different ways Dan, Patrick and I have explained LUTs, how we use them, and best practices including some that I’ll go over again in this Insight, but that info is spread out across dozens of videos and articles here on mixinglight.com and some of those articles are from a years ago (yes, we are entering our fourth year of operation)! This Insight is about avoiding the common mistakes/pitfalls you’re likely to make with Look Up Tables. This is one of the reasons colorists like Patrick and the Coloristo’s are at pains to get people to understand that you can’t ‘slap a LUT on it’ and expect great results every time, you have to do more work than that. You can hear them chat about that in more detail in this previous post I wrote about LUTS, over on Premiumbeat.com. For further reading this explanation from Abel Cine on the difference between LUTS, Looks and Scene Files is also worth a read. Here is a quick run down of some places you can yourself some free LUTS, and I’ve indicated what you need to do to get them. I’ve put together the little video above to show you what some of these LUTs actually look like! If you need a helpful guide on how to apply these LUTS in DaVinci Resolve, Adobe Premiere Pro, Final Cut Pro X or Avid Media Composer, you can’t really do better than this post from Andy Shipsides over on Abel Cine. It’s worth noting that at the minute you need a third party app to apply LUTS to all footage in FCPX, here Andy uses LUT Utility from Color Grading Central. That said, you can use FCPX’s built in LOG LUTS to convert LOG footage from certain cameras and this 3 minute Premiumbeat tutorial shows you how. 1. Color Grading Central – In partnership with visionCOLOR, free M31 Blockbuster orange/teal LUT from the Osiris LUT pack, 6 ImpulZ Kodak & Fuji LUTs profiled for generic LOG and Rec709 profiles. Denver just released a whole new pack of LUTs called ASCEND which you can grab 3 freebies from, on the Color Grading Central site. Update 2018 – Juan offers a ‘rebuild’ of two LUTS that would normally cost hundreds of dollars each; the Linny and WDR LUTS from The Brim. Direct Download the free LUTS. 3. Filmmaker Tom Majerski – VisionT emulation LUT (Kodak Vision 3 500T) and Tcolor LUT (Technicolor Process 4 -Vibrant). Cost: None. 4. Lutify.me – 7 free 3D LUTS. Each LUT comes with LOG, Rec.709 versions as well as new RED IPP2 iterations and a monitoring version. There are also Capture One and Lightroom compatible versions. Cost: Email sign up. 6. DELUTS – 4 free LUTS. One ‘hipster armchair LUT’ and 3 x Zacuto Gratical LUTS. Cost: None. DELUTS creator James Miller also has a Sellfy page where you can grab free 8mm film components including masks, 8mm film scan, 8mm gate mask, sprocket mask (white & black) and film grain. Cost: Tweet/FB like. 7. SmallHD – 7 free LUTS based on the look of popular movies. Cost: None. 8. DigitalColorist.com – 10 free creative looks. Cost: Email sign up. 9. Ground Control Color – 6 x Camera specific LUTS and Rec. 709 conversions and 3 x Creative Looks. Cost: Email sign up. 10. Filmmaker Frank Glencairn – Free Kodachrome 828 film emulation ‘K-Tone’ LUT for LOG footage. Cost: None. 11. Motion Array – 10 free creative look LUTS and 10 more Action Movie LUTS. Cost: None. 12. Rocket Rooster – 5 free creative look LUTS. Cost: Tweet/FB like. (Lots of stuff on sale right now on their Sellfy page). You can save money on Rocket Rooster’s latest LUT bundle emulating lots of classic film looks. 13. Light Illusion – 3 free creative look LUTS – Film Look for Log footage, Film Look for TV Legal footage, ARRI Log Look LUT based on ACES data. Cost: Contact form download request. 15. FreshLUTS – Aiming to be ‘the world’s largest free LUT sharing platform, FreshLUTs has a growing number of LUTs to download, contributed by other users. Cost: Email sign up. 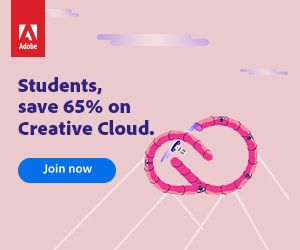 As a further bonus you can also download 77 .look files for use in Premiere Pro or Speedgrade and 44 FCPX colorboard presets from Oliver Peters excellent website, Digitalfilms. One of the core problems with having a lot of LUTS on your system is being able to find the one you want for the look you need to match the footage you have. Up until now the only way to search through your LUT library is through a confusing text-list interface in your editing or colour grading software of choice. Or if you do want to create a stills gallery of your available LUTS, you have to do that manually for one static image, that isn’t even your actual current footage, one LUT at a time. That’s a time consuming and labour intensive process, especially if you have a lot of LUTS like the 100+ freebies in this post! Thanks to Denver Riddle and the good folk behind Colour Grading Central, that’s just changed for good! The new LUT Gallery plugin for FCPX and DaVinci Resolve costs $69 per app (or bundled for $109 for both) and includes an Auto White Balance Picker for easier and faster grading. You can see the plugin in action in the video above or jump over to this official page for more details. The plugin ships with some free LOG to Rec 709 and Film Look LUTS in it too, to help get you started, but you can obviously download all the free LUTS in this post too! UPDATE – Check out my detailed review of LUT Gallery here including some quick tips and tricks on getting the most out of it. Essentially the plugin does away with a long list of meaningless text-based names and replaces that interface with a real-time preview of your selected shot, showing what it would look like with your LUT library applied. This is a huge time saver and will make finding the right LUT incredibly easy, regardless of the footage you’re trying to match to, or the transforms the LUT was originally designed for, because you’ll instantly be able to see the results on screen. In many ways it’s not really worth trying to grade with LUTS, without this plugin, because there’s no way you can remember what each LUT will do to the footage you’re working with, and so you’re forced to just keep clicking back and forth to find the right look. Which is just a waste of time and effort. I don’t know why someone hasn’t made this sooner! Check out the new LUT Gallery and Auto White Balance Picker from Colour Grading Central here. Currently the plugin is for Mac only and is compatible with DaVinci Resolve 12.5 and FCPX 10.3 on Mac OSX 10.12 Sierra. A Resolve on Windows version will be developed, and they are considering creating a version for Premiere Pro too. LUT Gallery functionality is also available in the fully featured FCPX grading plugin Color Finale Pro, which gives you colour wheels, curves, LUT management and more for $149. 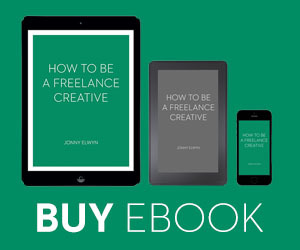 You can save $20 off CFP with the coupon code ‘jonnyelwyn’. 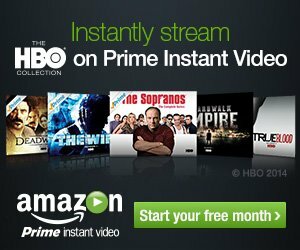 Premiumbeat.com is giving away 14 Lumetri Presets to use in Premiere Pro based on looks from popular Hollywood movies including The Martian, Saving Private Ryan and Bladerunner. The post also includes a helpful step by step tutorial on how to install Lumetri presets. Rocketstock.com have just released a pack of 35 free cinematic LUTS for use in Adobe Premiere Pro, FCPX and DaVinci Resolve. They come in the .CUBE format and feature a mix of cinematic, vintage and standard colour space flavours. Inside the free download you’ll find LUTS with exotic sounding names like Bourbon 64, Contrail, Korben, Sprocket and Tweed. There’s no sign up cost, simply click the download link to add a another useful set of LUTS to add to your collection! Premiumbeat.com are giving away 17 more free LUTS for use with LOG footage. Delivered as .cube files which will work with DaVinci Resolve, Premiere Pro and FCPX. They are free to use in any personal or commercial projects. Colorist Phil Strahl has been sharing some of his own customised looks via Twitter, including download links to grab these free LUTS for yourself. I’ll update this post as more become available. Since the provided LUT is just an approximation of the node network within Resolve and won’t take any secondary color corrections into account. So if you can, import the look as Still in Resolve to get the full monty. A present for y’all before I leave for my week of vacation: A Resolve look + LUT titled "Cubanismo". If you’re looking to get more from these free LUTS watch this 20 minute tutorial from smallHD, which demonstrates how to work best with LUTS from several different camera sources and modify any given LUT inside the free version of DaVinci Resolve and finally export those to use elsewhere (11 min in). In Resolve this is actually very easy to do, just click on a thumbnail in the colour timeline, right click and hit Generate 3D LUT. This 10 minute tutorial from Denver Riddle is a great starting point for anyone wanting to learn what LUTs are, how to use them in various scenarios. A good foundation for anyone new to using these in your grade. Denver also posted a new tutorial explaining the what, when and why of using his new ASCEND LUTs, which you can watch on Facebook here. Ground Control Color’s blog has a useful quick tip on how to organise that epic LUT list you’ve probably now got to wrestle with, inside of DaVinci Resolve. Casey’s trick is to create a ‘junk draw’ of stuff you don’t need that often, removing them from the pull down list, and sweeping them into one ‘Other’ folder. Here’s the trick though: Resolve will group LUTs into folders that contain ONLY LUTS. So if there are sub-folders inside of the “Other” folder, all those sub-folders will still show up in Resolve’s list. Mixing Light also has a good tutorial on how to create a visual representation of every LUT in your library, which will give you a much more accessible and intuitive way to decide which LUT to apply. You’ll need to be a member to watch it, or you can take a free 24 hour test drive to check it out as well. In this 12 minute masterclass on deconstructing and matching expensive film LUTS, colorist Juan Melara demonstrates how to replicate the look of two LUTS from The Brim. After that Juan takes a quick look at the WDR LUT which the makers state can’t be created any other way than through their custom coding. Not so, says Juan. You can see for yourself how close you think Juan gets in the video above in which he explains how he came to his final build from a technical and creative point of view. If you’re interested in taking a crack at replicating LUTS for yourself, this tutorial would be an excellent starting point. So all those free LUTS aren’t enough for you eh? Well, if you want to get your hands on more LUTS for your expanding library of go-to looks and transforms, then here are a few places you can splash your hard earned cash. It is worth considering that it is incredibly easy for anyone to create LUTs and sell them online, so it’s probably a good idea to download some of the free ones to try-before-you-buy and see how effective they are when deciding on a reputable supplier. UPDATE – Noam Kroll – LUTS Worth Paying For? Update Feb 2019 – Noam’s LUTs are now available on a new site – CineColor.io. He’s also added 36 new LUTs, available in the Cities Master Pack, which bundles the New York, Los Angeles and Paris single packs together. I wanted to update this post with a special mention to some LUT packs I’ve just come across because, to my eye, filmmaker Noam Kroll has created some of the best looking LUTS I’ve seen online. They often have aggressive colour washes, which destroy the look of the skin tone and often crush the blacks or clip the highlights. These LUTs feel different. Noam has also got a lot of LUTs to work with at a really affordable price – 144 in total, split across four master packs with 36 LUTs each ($129), or available in specific smaller packages of 12 LUTS each ($49). If you buy a bundled Master Pack that works out at just over $3 a LUT! These smaller packages are actually a great way to be able to select the LUTS you want, rather than being forced to buy them in one massive pack. For example, you might want to pick and choose your way through the Blockbuster, Vintage and Hollywood LUT packs, which aren’t available in any one bundle. It would be great if you could roll your own 3 pack collection and purchase them at the discounted rate of $129. The timeless looks included in the Vintage Pack are specifically designed to evoke the feeling of nostalgia in the viewer. Warm, desaturated tones on certain LUTs call back a mid 1970’s vibe, while the stark black and white aesthetic offered on another creates a powerful film noir look. In this pack you’ll also find a poppy and colourful 1960’s look, a washed-out & faded film look, and much more. These looks are perfect for adding that unique vintage quality to your footage, even without using any film emulation. If you do want to add some free film grain on top you can grab some in this post, or snap up Juan Melera’s excellent free film emulation LUTs in the list above (#2). Check out Noam’s cinematic LUT packs here, the new site has several different interactive before and after sliders and a ton of great images to preview the feel of the different looks each LUT will deliver. Best explanation of LUTs on the net. I now have a much better understanding of what they are. Thanks. I’ll be coming out with a new set soon and providing two free luts from those sets. Hey Jonny, I forgot to come back and tell you 🙂 I have uploaded free luts for download over at postcolorblog.wordpress.com/free-luts/. Wow. I never knew there were so many freebies on the web. Can’t wait to dig in. Thanks Jonny! Great article about LUTs and how to use them properly! Can you tell me what LUT was used for the cover photo, the man’s eye? Really adore the skin tones! If you click on that image it will take you to the site that created it, but I can no longer find that specific image in their sales images. So it must be one of their 200 LUTS! Sorry that’s not much help! great work Jonny, your posts are always well researched and extensive. Hi Jonny, I just discovered your website and its awesome!! I’m new to owning a GH4 and was wondering if you have any advice on which picture profile settings I should be using? Any advice is greatly appreciated. I should have mentioned that I’m trying to get a more cinematic look from my GH4 footage. Thanks for checking out the blog and taking the time to comment. As I’ve never worked with the GH4 I’m afraid I can’t help you out on that one. Although several of these LUT providers will likely have a GH4 pack. Or you can check out Filmconvert (and save 10% here – https://jonnyelwyn.co.uk/film-editing-freebies-promo-codes/#convert ) which has a GH4 camera profile to create cinematic looks from that camera specifically. Amazing wealth of information on LUTs here. Thanks for sharing some freebies too!